This whole thing has me swooning. I love you! Thank you so much! 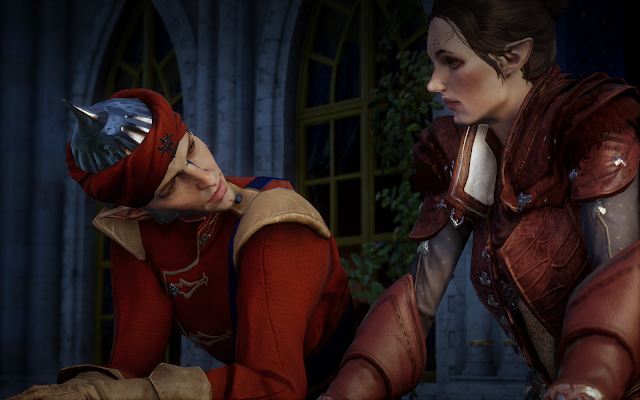 (blushing as badly as Alistair) This absolutely makes my day. I always look forward to your feedback, and I'm so delighted you enjoyed this one! 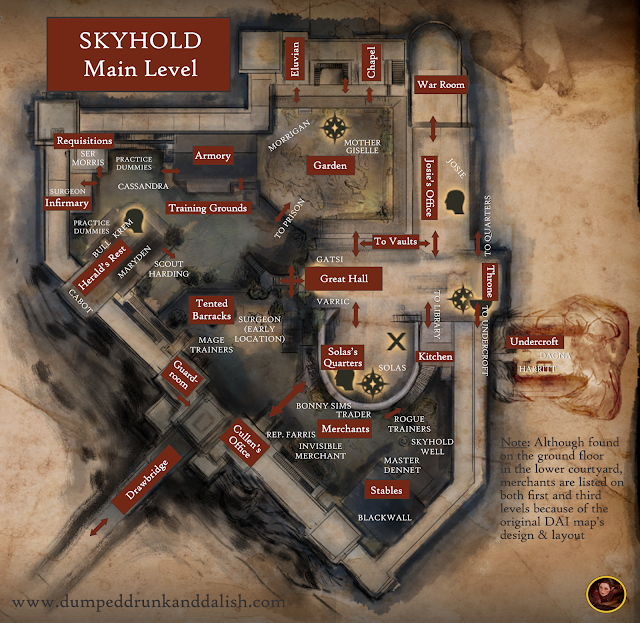 This all makes sense if you take Solas with you to Halamshiral, but... what if you don't? When do you think he might gain control of the eluvians in a playthrough where you leave him behind at Skyhold? 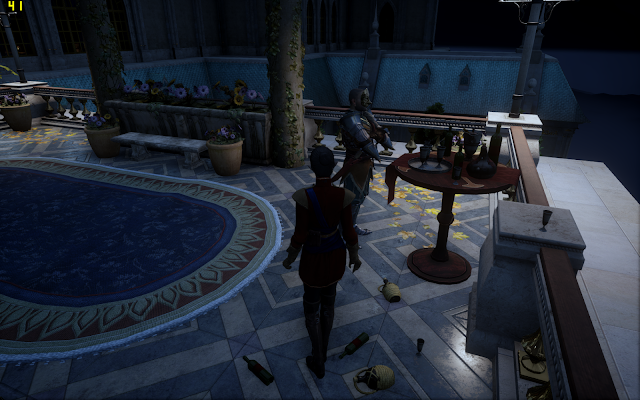 Morrigan doesn't arrive until after WEWH, and she does bring an eluvian with her to Skyhold. 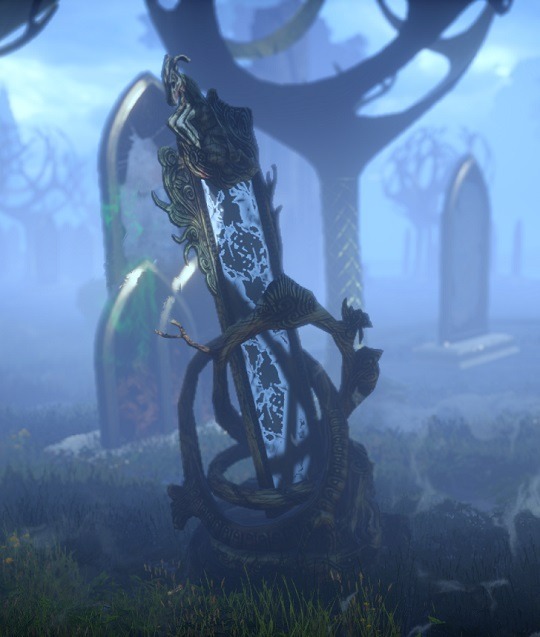 I suppose that might give Solas plenty of opportunity to access the network, but since OGB Kieran, Morrigan and the Inquisitor do go into the eluvian as part of The Final Piece, Solas probably doesn't gain access until after that. The other option is, of course, that he wrests control of the eluvians in the 2 years between the end of the main game and the beginning of Trespasser. But then what is he so pleased about during WEWH? Maybe just being able to touch base with his spies there? Maybe just reliving his youth, as you suggest. Thank you for chiming in, Lady Iolanthe! I always look forward to your thoughts! To answer your question, first off, my understanding is that it's basically canon that "everyone" is with us at Halamshiral, even if we don't choose them for our party. Which is why they will all comment on the events even if they weren't chosen to be there. 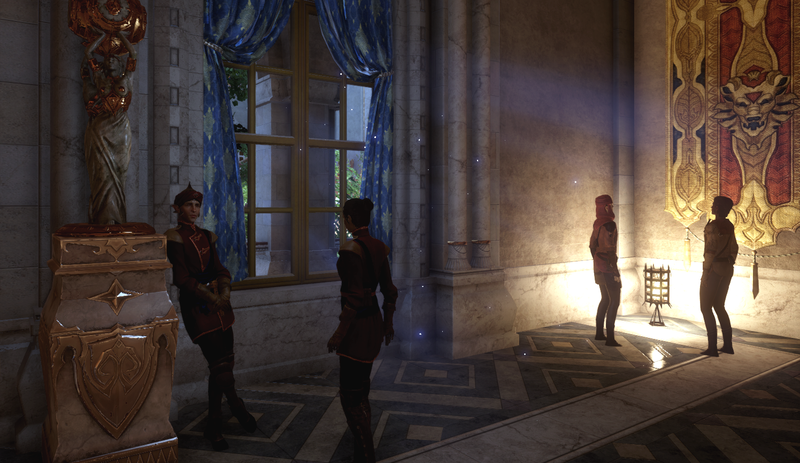 I think you bring up a great point about Morrigan's eluvian at Skyhold (and the possibilities there are so tempting!). It is of course absolutely possible that Solas used magic, used that eluvian, then muted it again... I just don't get that feel from the events. And you're right: He absolutely could wrest control later on, and during that period between DAI and "Trespasser!" My one plea is that it doesn't fit the feel of events. 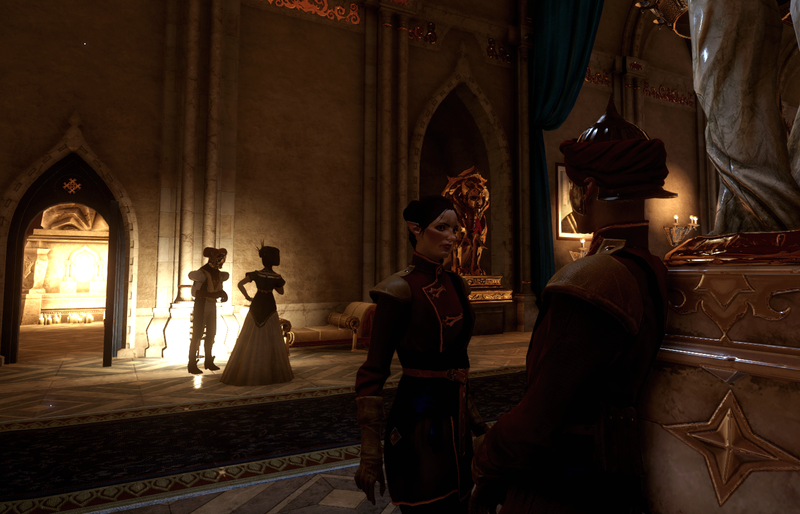 It doesn't fit, for me, Solas's demeanor at the Palace (or after). Something big feels like it happened here, so that's my take on the potential situation. More to follow -- and thanks so much for reading and commenting, as always! 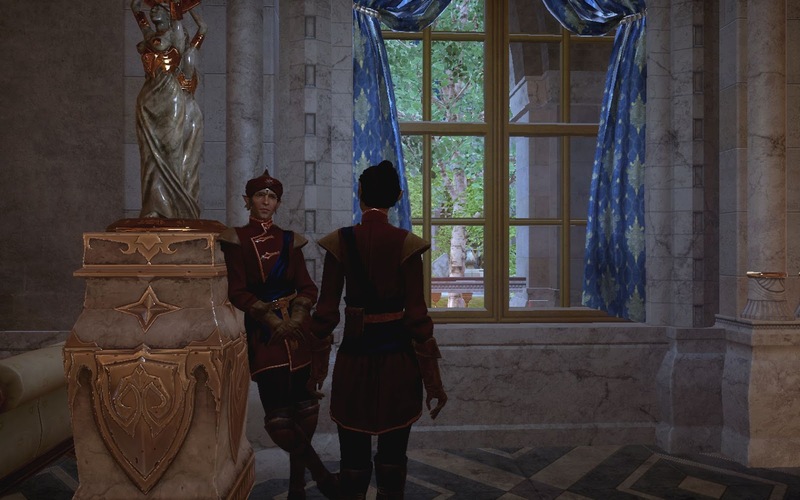 I think Solas takes control of the Eluvians after he absorbs Flemeth, but I agree he certainly liked Court, and I suspect he felt free *not* being in the hot seat while enjoying the events from afar. I imagine it would be freeing. 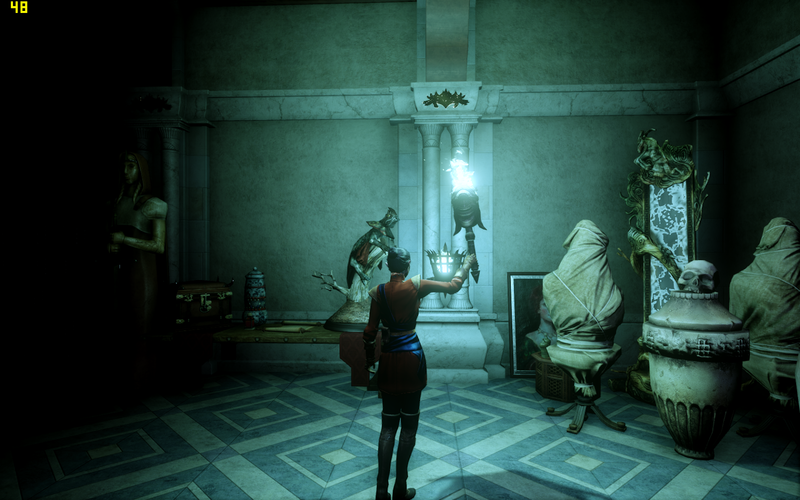 I would definitely agree with you that Solas finds Halamshiral curiously freeing -- I think that's a great way to put it. And also, for me, that's where the nostalgia comes in -- he's euphoric, enjoying the pomp and circumstance, the sheer spectacle. 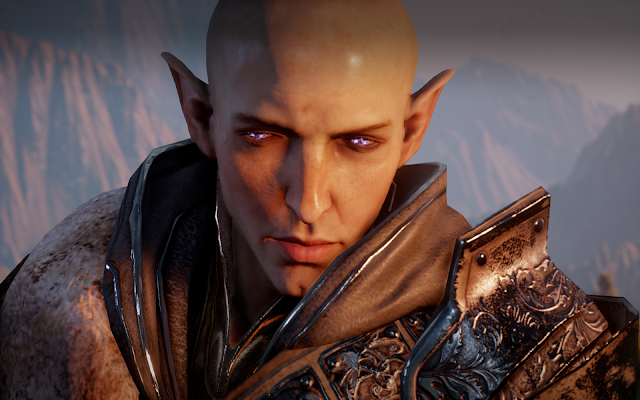 It's a night unlike any other in the game and I love that Solas reflects that back to us. Thank you so much as always for the insightful thoughts and comments! I always look forward to them. After reading this I absolutely HAD to go back and replay WEWH with my Solasmancing Lavellan, and I seriously think you're on to something with all of this! 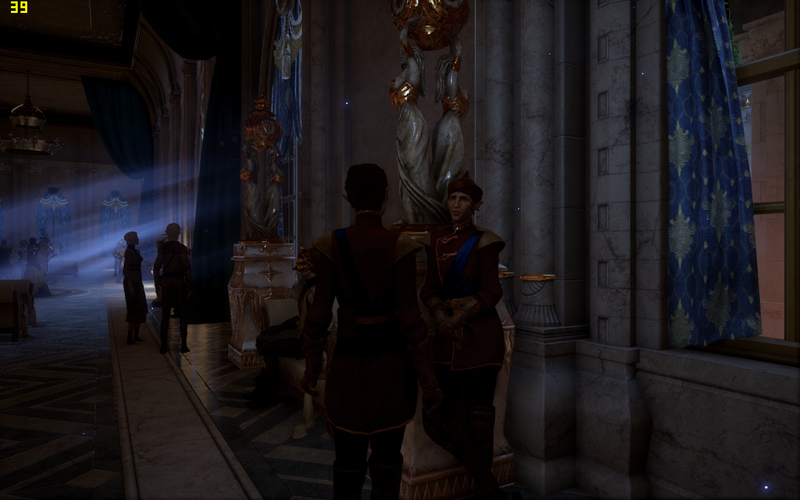 Right after entering the vestibule for the first time, Cullen will say (if you keep talking to him after he mentions the troops and such): "Solas has already gone inside. I'm not sure about the others." So why single out Solas and no one else? Hmmmm...? Makes one wonder.